Area Science Park is a National Public Research Centre that manages the first and most important multi-sector Science and Technology Park in Italy since 1978. National Research Council is the largest research institution in Italy. Founded in 1903, it is one of Italy’s longest serving conservatories, and it is one of the leading conservatories in Europe. The Music Conservatory lives up to the European standard of higher education by offering Bachelor and Master degree courses. 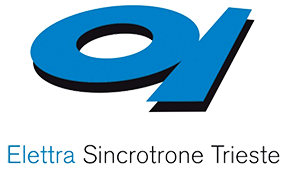 Elettra Sincrotrone Trieste is a international research center specialized in generating high quality synchrotron and free‐electron laser light. The aim of the Centre is turning ideas into projects and research into products. The InterAcademy Partnership is composed of three international networks of academies of science, medicine and engineering. Intergovernmental organisation within the United Nations Common System. Research and technology transfer to industry in the field of biotechnology. ICTP provides scientists from developing countries with the continuing education and skills that they need to enjoy long and productive careers. One of the 17 Italian institutes that form the National Institute for Astrophysics (INAF). The Italian National Institute of Nuclear Physics is an organization dedicated to the study of the fundamental constituents of matter. OGS is a public research Institute which acts internationally in the fields of Earth and Marine Sciences, Oceanography, Geophysics and Seismology. Parco Scientifico e Tecnologico "Andrea Galvani"
The Park is a motor to speed up the various business ideas which live of technology transfer and start a real growth. The School promotes the development of scientific research and intellectual culture, preparing young graduate students for advanced research. TWAS is a global science academy based in Trieste, working to support sustainable prosperity through research, education, policy and diplomacy. Founded in 1924, the University of Trieste is a comprehensive university with 10 Departments. The mission of the University is to promote higher education by imparting knowledge and generating new ideas at the cutting edge of society.